This month, we introduce a new series: Hope Through Aid. Each month, we will highlight one of Carry the Future’s programs which deliver direct aid to refugees. This month, we focus on how Carry the Future provides dignity through diapers. Our Welcome Baby program “provides families with the items they need for their newborn: a baby bed, clean diapers, a baby carrier, onesies, towels, soap, a handmade toy or blanket, and sanitary pads for mom.” Through the generosity of our donors, Carry the Future provides much-needed diapers for refugees. But diapers are an ongoing need. Please consider a monthly donation to help Carry the Future continue to provide this necessity. Northwest of Thessaloniki, nestled among industrial buildings and wandering gravel roads lies a bustling refugee camp. Brightly colored paint punctuates steps and trim on the buildings. The many colors are purposeful. Reminiscent of preschool finishes, they are an invitation: follow the happy colors; trust; feel; make this your temporary home. It’s December, 2018. With the direction of the Camp Leader, a Distribution Team backs their white 8-passenger van down a short driveway in front of the Camp’s storage warehouse. The front seat is littered with empty water bottles, half eaten pastries, phone chargers and backpacks. Its backseats overflow with packages of diapers stacked to the van’s ceiling. They spill out from under the seats. The Leader shakes each Team member’s hand. “Thank you.” A walkie talkie hums from his belt. Children approach, offering to help, and asking to play. A few adult residents introduce themselves. Volunteers embedded in the Camp arrive to help unload the contents of the van, entirely diapers—roughly 8,000 diapers. The Team knows to work quickly and forms a human wire, handing package upon package to each other, swiftly moving the aid into a secure space to be organized for a later, proper distribution. Volunteers carry the diapers up metal steps, each carefully painted a color of the rainbow. Additional hands await upstairs, where a neatly organized warehouse of sorts lies. 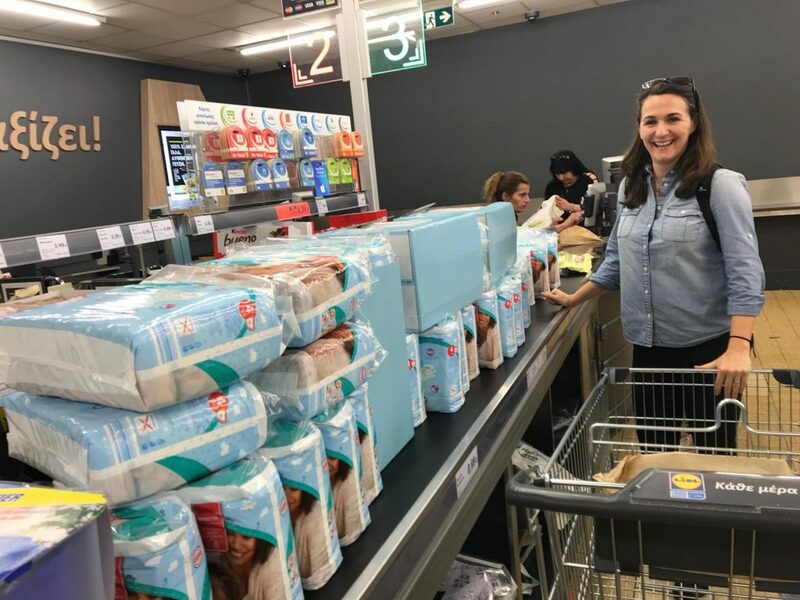 Two years earlier, a member of one of Carry the Future’s Distribution Trip Teams brought to our attention that diapers are an essential, dire need at refugee camps. Direct exploratory efforts enabled the team member to provide local contact information. “We could investigate how diapers were being purchased and distributed in specific locations,” says Erin Leonard, Chief Response Officer. Subsequently, we reached out to a number of contacts throughout Greece to learn how each space was providing diapers. It became apparent that the situation across the board was urgent. Team members were sharing stories of diaper rashes; of shirts of fathers being used for diapers, of families using one clean diaper a day. The need was clear, the pain palpable. It’s “an example of the impact that our Distribution Team members have on the work we do,” Erin says, attributing the concern as a catalyst for the program’s continued support. 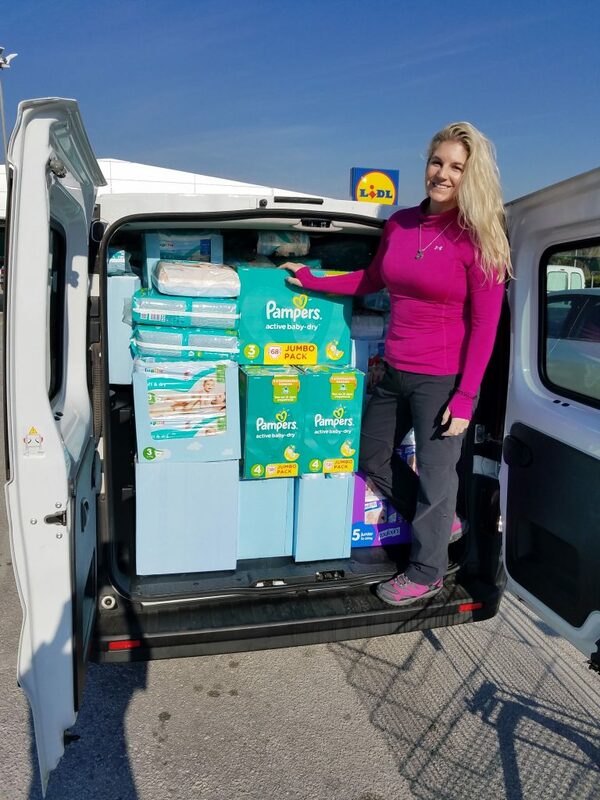 Currently, Carry the Future’s Diaper Program provides diapers monthly to camps in Northern Greece. Desi Porter, Board President, notes the impact of diapers: “By supplying diapers from our wholesaler, we are able to purchase diapers at a lower cost, support a local family-run business and, thankfully alleviate at least one worry for refugee parents.” Additionally, Carry the Future maintains a program that enables each Distribution Trip Team to purchase diapers for refugees while serving. 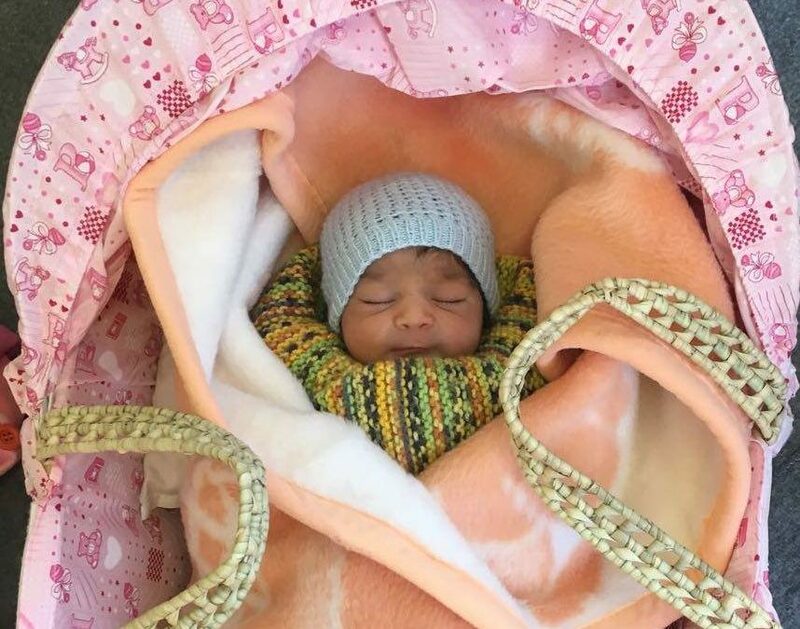 Every donation helps us continue our mission to help refugees by providing them with diapers and dignity. 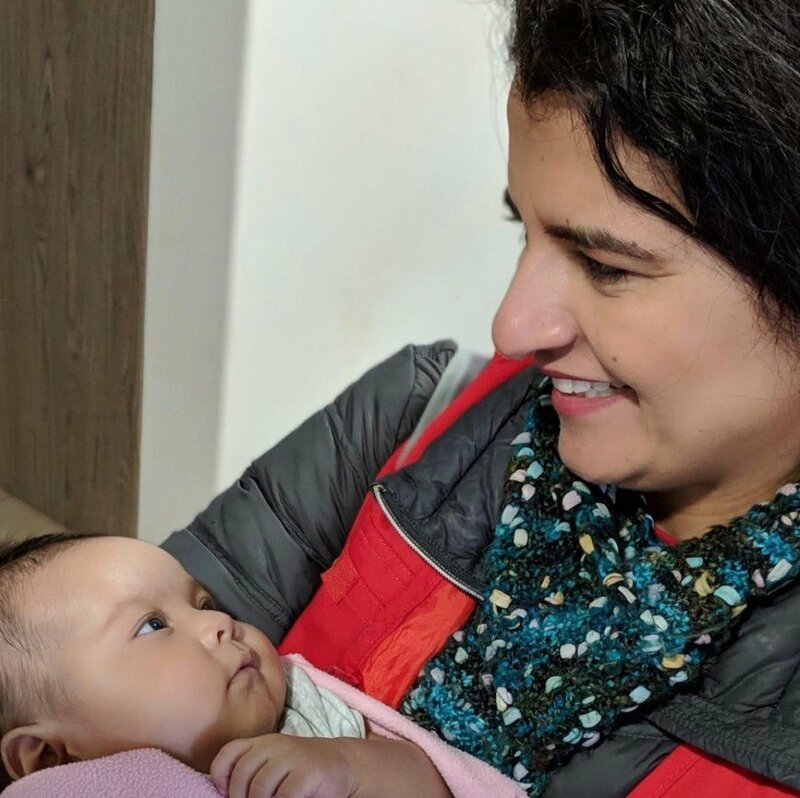 Relationships fostered by our volunteers help facilitate the expansion of our program, doing so much good for refugees. Because of the generosity of our donors, this program remains in place two years since its inception! Every donation helps us continue our mission to help refugees by providing them with dignity through diapers. When we do something, we are empowered together. Click here to learn how you can do something to help refugees by setting up a monthly donation to Carry the Future!